Great hire! I can't wait! Now that it’s complete, What does everyone think of the hire? I think we’ll be alright here. I know it’s not who the formers players wanted and think some of them are upset but we’ll see. Well my prayers were not answered lol.... I guess will soon find out within the next (2) years if this was a good hire... If I'm right, I'll say I told you so.... If I'm wrong, I will be the first to apologize and say it was a good hire... I thought UC could have done a lot BETTER.... I am disappointed .... Will see how the recruits fall in place over the next (2) years....Go Cats !!!! I’m not sure anyone on this forum is qualified to assess this hire. Alex Meacham knows him well and calls it a homerun. I think UC will be fine. I would like to see who (if any) transfer. Let's see who might transfer in. Two scholarships available now. Who will fill out the coaching staff? How many current assistants will stay. Interesting week ahead. Last edited by longtimefan; 04-14-2019, 04:22 PM. It's the perfect hire. I am an NKU grad and have followed them very closely and I have watched Brannen coach for 3 years, a number of times from a few rows behind the bench. 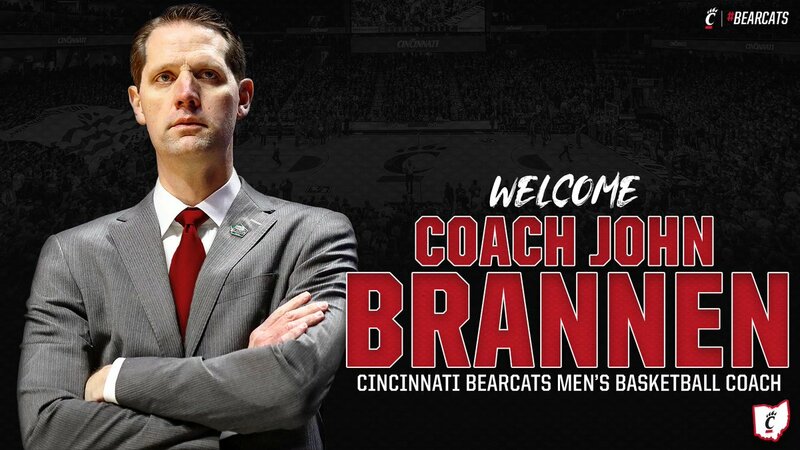 Brannen is a great coach and a great communicator who runs a style UC fans have been wanting. He was the best hire and I honestly think UC fans are going to love what he brings to Clifton. Welcome aboard Coach B. He's the solid hire. Hopefully the majority of guys sticks around for next year. I will be curious to see how this team performs offensively under a different coaching staff. One undisputed positive aspect of this hire - no moving allowance. Per Enquirer, Brannen's contract is for six years with a base salary of $1.5M. There was no mention of incentives or a buyout. They showed him meeting with the players. One picture has Cumberland and Brannen smiling and talking. I think Fickell was a great hire. Bohn drove off a UC Cincy kid. I am not giving Bohn blind trust here. I don't wish ill on Mick; in fact I hope he continues to do well getting 25-30 wins per year. I hope Brannen does well because he is OUR coach. Go Bearcats! The jury is out for deliberations.